great quote....and wonderful photos. so bright and cheerful. Hmmmmm lovely pics - I like the collage! My favorite is the bottom left - I wanna go in there!! Wonderful quote!! Glad I could give you a giggle this morning! Thanks for popping by my blog. I love that quote...and the door pictures too! Great quote and those are fabulous photos! Well, hello! I am taking a trip through my favorite blog sites today. Since I have been MIA for a while I wanted to catch up. I see you have some exciting new adventures in your life. How rewarding to be starting a new job in an area you are passionate about! I love this particular post. I first love the quote. Since I work with hearing impaired children, AG Bell is a favorite of mine. Also, I love doors! 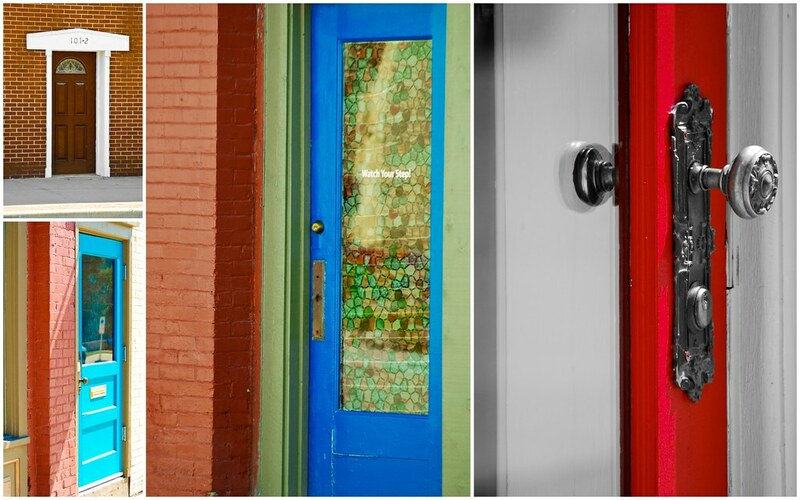 This is a wonderful mosaic of doors. The colors and the size are just inviting me in! Thanks and blessings to you!